Smartphones are widely used today because of amazing features and affordable cost. Smartphones are rather preferred because of fast internet, high quality camera, video calling, full touch support, high speed processor and RAM, large storage etc. It has become easy to chat with friends via social networking sites and messengers apps like Facebook, whatsapp, line and many more. All these messenger apps are available for free on Google playstore but some of them may be paid. Don’t worry because you can download paid android apps free. Whatsapp messenger is still popular and addicting app ever. Because of their latest features like calling, Chatting, File sharing, privacy options etc. Whatsapp messenger also reduce our cost of phone calling to our relatives and friends. With the help of Whatsapp we can also share our images with others and receive these images. But these images are shown with our regular images in gallery. So these images confuse with our important images. Hence, If you want to hide whatsapp images from gallery, it is the only best solution. If you are also frustrated from these images while going to gallery. Then this article is really for you because in this article we are going to discuss about how to restrict these images from appearing in the phone Gallery. How To Hide Whatsapp Images From Gallery. Steps For Android Phone Users. Alternative Way To Hide Whatsapp Images From Gallery. 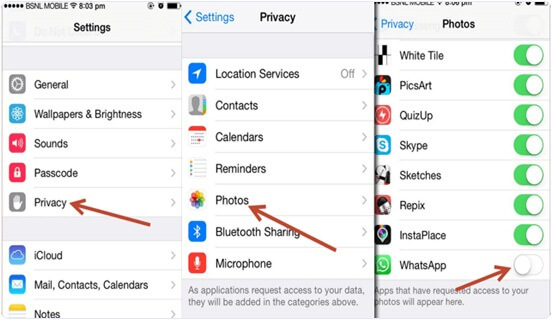 Steps To Hide Whatsapp Images From Gallery (iPhone Users). Step 1. Launch the file manager App of your mobile. You can also install different file manager App on Your Android devices like ES file Explorer, total commander File manager App etc. Step 2. 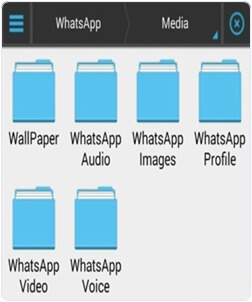 Find your WhatsApp media folder using the file manager. You can find it in Home >> SD card >> Whatsapp >> Media. Step 3. 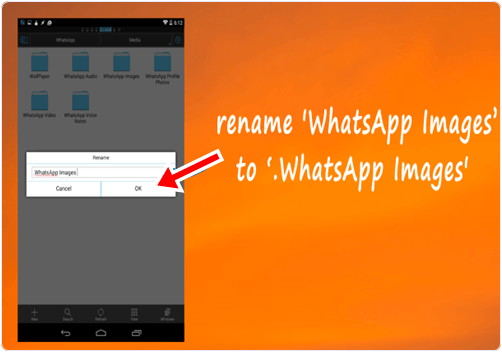 Inside the Media folder you will see a sub folder named WhatsApp images. Step 4. Rename this folder to .WhatsApp images. Step 4. Alternatively you can also create a .nomedia file inside this folder. 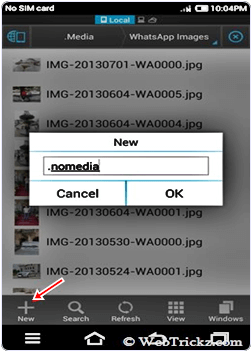 You can create new file by clicking on the Plus button and select the file option. Step 5. After Step 4 you can open your Gallery and see your Whatsapp folder become invisible. If it is still visible then you have to clear cache for Apps in your Android device. 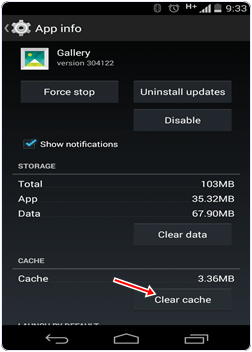 You can clear cache by Go to setting >> App Manger or Apps >> clear cache. Don.t forget to turn off hidden files option. Note:- Android OS is based on the Linux kernel if we Add ‘. 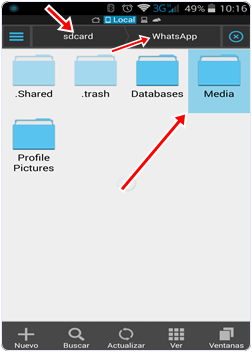 or period‘ in front of folder or file name it will become completely invisible. If you are iPhone user then it is so simple for you to restrict the Whatsapp images Appearing in the Gallery within few clicks. Just go to you phone settings-> Privacy->Photos->Untick WhatsApp. After following the above step you will not see your WhatsApp images in Gallery. So these are different method to hide whatsapp image from gallery on android and iPhone easily. If you know any of the best way for this must share it with us. We will update it soon.